With more than 1 billion people participating in Earth Day activities each year, Earth Day (April 22) has become the world’s largest environmental movement. 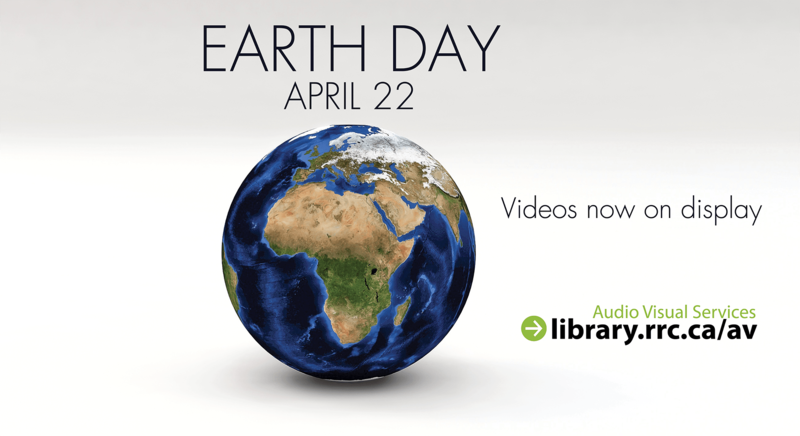 To celebrate Earth Day, AV Services at the Notre Dame Campus Library has put together a selection of intriguing videos designed to inform us about environmental issues. We invite you to come by the Library and find something to watch or stay online and view in streaming mode (log in required). Carbon nation A documentary movie about climate change solutions. Even if you doubt the severity of the impact of climate change or just don’t buy it at all, this is still a compelling and relevant film that illustrates how solutions to climate change also address other social, economic and national security issues. Trou Story The history of mining in Canada is the story of astronomical profits made with disregard for the environment and human health. Using striking images, rare archival footage, interviews and their trademark humorous social commentary, the directors make a compelling case against the way mining has been done in Canada. Toxic Trespass Delves into the chemical soup that surrounds us and that we’ve taken for granted. We meet passionate activists, doctors and scientists who see clear evidence of often-denied links between the environment and health, and are working for change. This Changes Everything Presents seven powerful portraits of communities on the front lines, from Montana’s Powder River Basin to the Alberta Tar Sands, from the coast of South India to Beijing and beyond. Interwoven with these stories of struggle is Klein’s narration, connecting the carbon in the air with the economic system that put it there. Below are four DVD highlights from Earth Day 2019 selections. We invite you to search our catalogue to find what interests you and/or visit the Library for friendly and knowledgeable service. Racing to Zero Follows the collective zero waste efforts of San Francisco, which is successfully taking the necessary steps: increased recycling, creative re-purposing, composting to recycle organics back into the earth, and changing patterns of production and consumption. Diminishing non-recyclables have already radically reduced the amount of garbage that is sent to the city’s landfills. Mother: Caring for 7 Billion Brings to light an issue that silently fuels our largest environmental, humanitarian and social crises – population growth. Since the 1960s the world population has nearly doubled, adding more than 3 billion people. At the same time, talking about population has become politically incorrect because of the sensitivity of the issues surrounding the topic- religion, economics, family planning, and gender inequality. The film illustrates both the over consumption and the inequity side of the population issue. Trees in Trouble When the emerald ash borer invaded Cincinnati, thousands of trees died and the city nearly went broke responding to the problem. This film documents the situation in Cincinnati and explores the history of urban forestry, the environmental and social benefits of trees in cities, and the dangers posed by invasive insect species. Queen of the Sun Taking us on a journey through the catastrophic disappearance of bees and the mysterious world of the beehive, this engaging and ultimately uplifting film weaves an unusual and dramatic story of the heartfelt struggles of beekeepers, scientists and philosophers from around the world.